Browse the available Garden Ridge real estate listings in North Regina below! 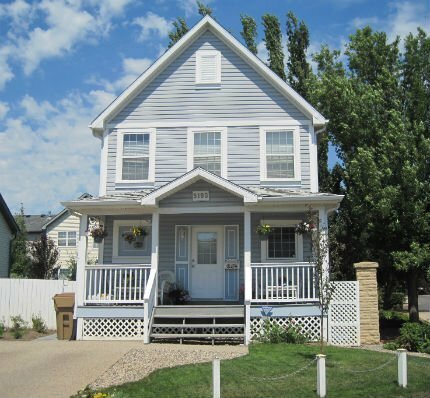 Garden Ridge is a small but grand urban neighbourhood located in north Regina off Rochdale Boulevard and McIntosh Street N. This community is Victorian in style and reflects a charm and character of days gone by. Garden Ridge is a perfect neighbourhood for first time home buyers, retirees and young families. The community was constructed in the early 2000’s and consists of two storey and bungalow style single family homes. 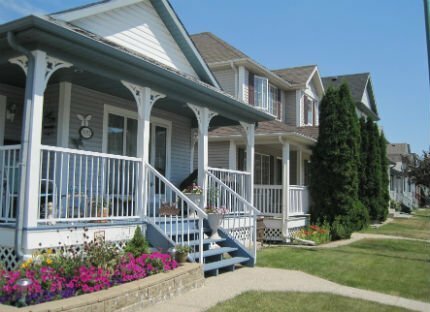 Take in the Garden Ridge homes for sale found below, or continue reading about this classic Regina, Victorian-style community. The classic Victorian architecture of the Garden Ridge neighbourhood features inviting front porch verandas for quiet summer evenings, sunny bay windows flanked by louvered shutters and the classic use of hexagonal or octagonal shapes in gable peaks. Picket fences outline the entrances to maintenance-free, two-storey townhouse condo complexes or you may prefer the convenience of Sienna Pointe an attractive apartment style condominium overlooking Juniper Park with its curving pathways and park benches for you to sit enjoy a warm summer evening. There are both public, separate and French immersion elementary schools in the area plus two of the most popular public and Catholic high schools in Regina, Winston Knoll Collegiate and Michael A. Riffle High School. Garden Ridge borders a bustling commercial area that addresses all your dining, shopping and personal needs. Urban living at its best can be had in Garden Ridge. There is quick access to Highway #11 going north to Saskatoon or head south on the Lewvan to access the airport or Highway #1. This is not only a place where you can live, work and play, but also a place where you can experience urban living in a classic Victorian setting. If you're interested in one of the amazing Garden Ridge homes for sale, please contact the Tourney Group online or call 306-789-1700 to consult a qualified, local Regina real estate professional.